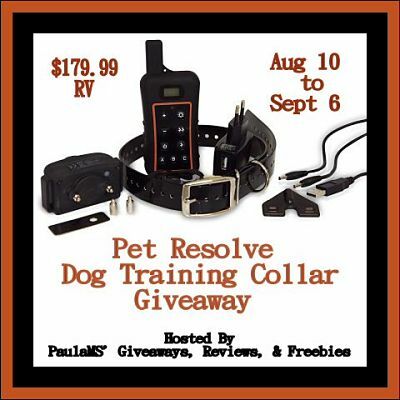 Would you like a super convenient, easy to use means of training your dog? 1 FREE Link for Posting the Giveaway no later than 9 AM August 11th. Paid Options: Any Additional links from the Free Link Options Above, Daily Votes, Page Visits, Retweets, Instagram Picture Likes, Email/RSS Newsletter Subscription, Blog or Facebook Comments, anything within reason are $2 each or 6 for $10. Max 6 links per person. Included is a co-host page with any 5 links of your choice in addition to the 2 free for a total of 7 plus a link back to your blog. If enough bloggers sign up, you will also receive more than one follow/visit page.